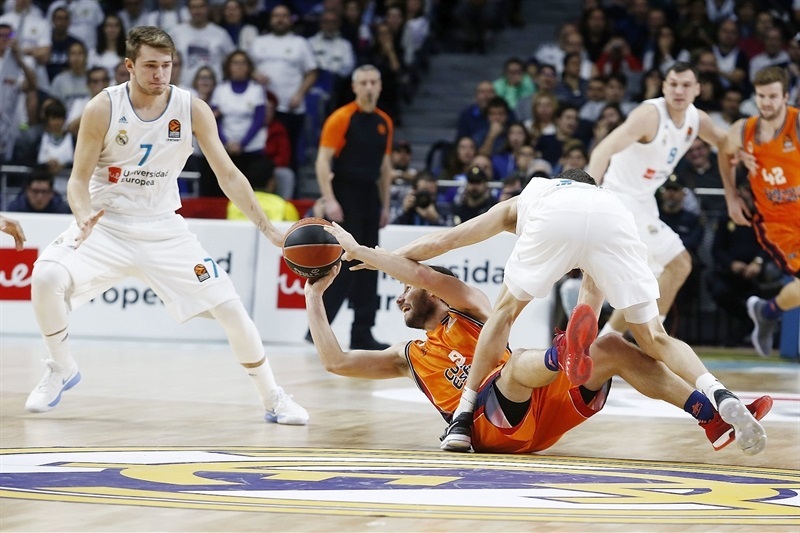 Real Madrid grabbed its second consecutive Turkish Airlines EuroLeague win by downing Valencia Basket 91-72 in the Spanish capital on Tuesday. 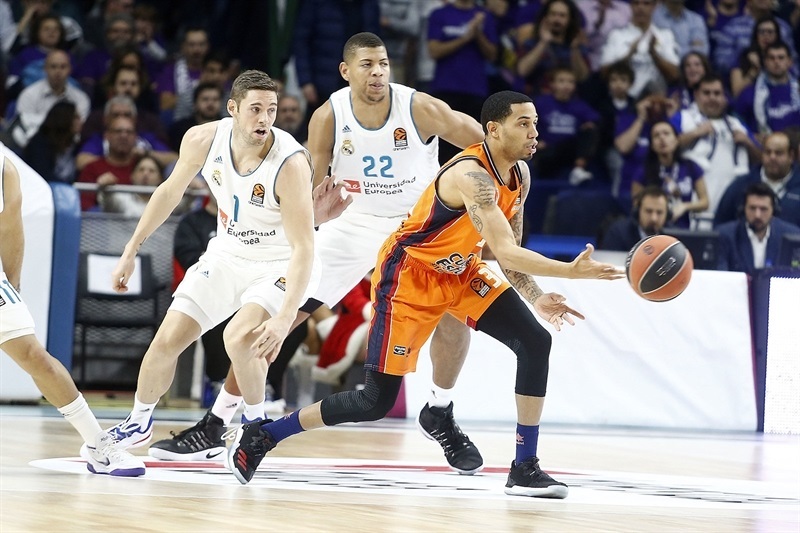 Madrid improved to 7-6 in the standings, while Valencia dropped to 3-10 and saw its losing streak grow to nine in a row. 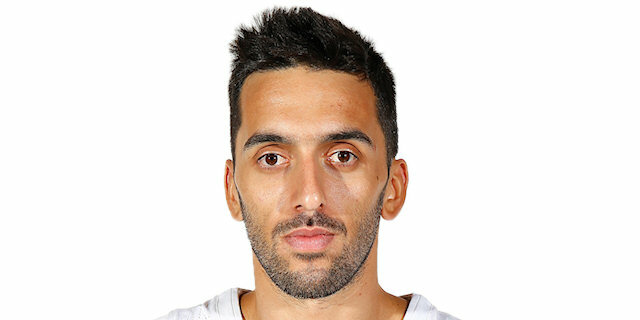 Facu Campazzo led the winners with 14 points and 8 assists. 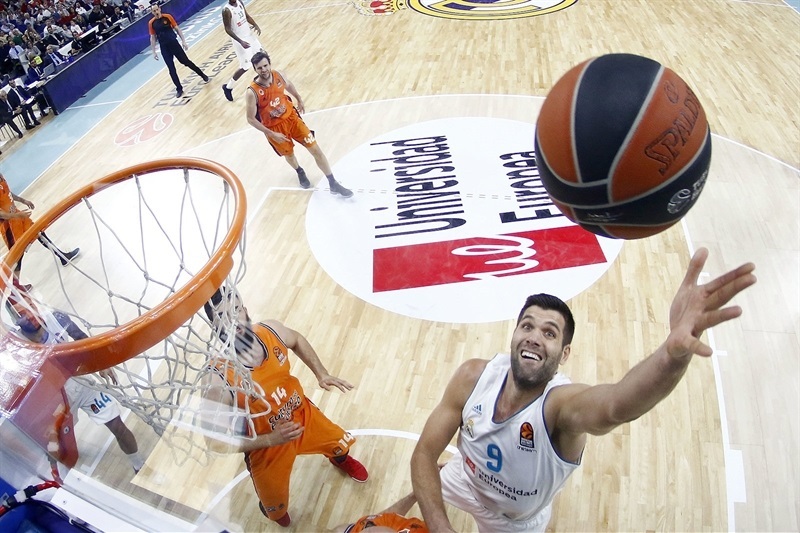 Felipe Reyes, who played his 300th EuroLeague game, Jaycee Carroll, Walter Tavares and Trey Thompkins each added 12 points for Madrid. Thompkins added 11 rebounds for a double-double. 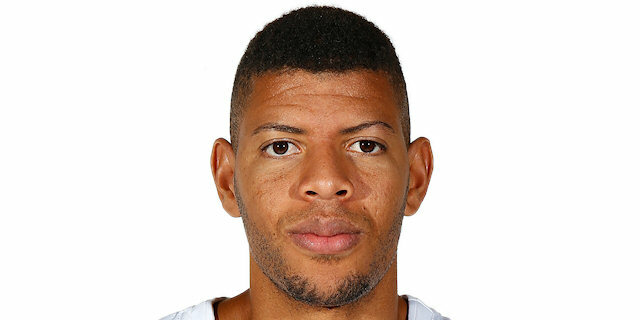 Bojan Dubljevic paced Valencia with 18 points, Erick Green added 13, Fernando San Emeterio had 11 and Rafa Martinez got 10 for the visitors. Madrid star Luka Doncic was ejected during the second quarter. A moment of silence was kept to honor Panathinaikos Superfoods Athens former general manager Tassos Stefanou, who recently passed away. Dubljevic shined early with a three-pointer, a jump hook and a free throw. Green added a jumper for a 6-8 Valencia lead. 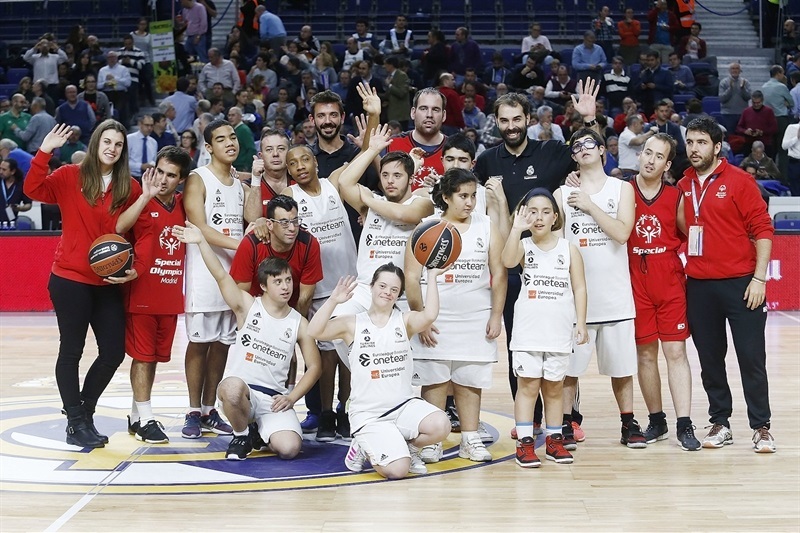 San Emeterio and San Van Rossom struck from downtown, but Madrid found answers on offense through its big men. Tavares followed a put-back layup with a dunk and Thompkins added a close basket and a corner triple for a 17-14 lead. 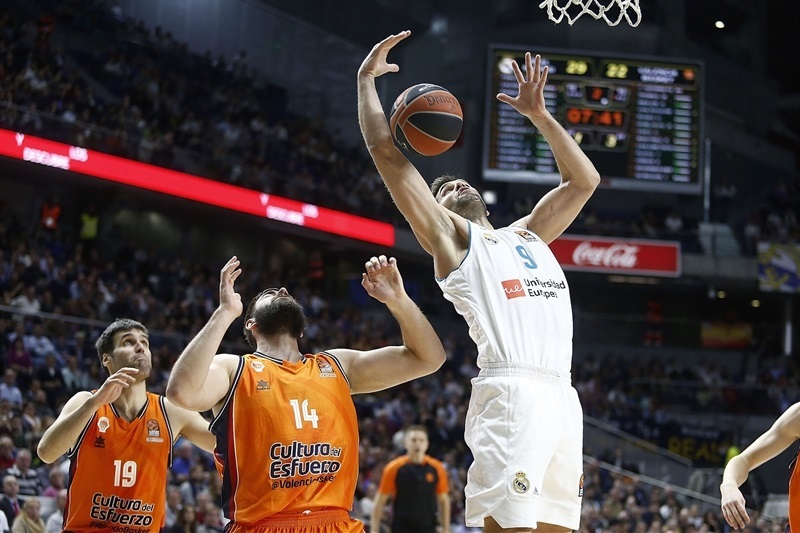 Green hit free throws and Tibor Pleiss added a jumper, but a layup by Reyes and a three-pointer by Doncic boosted Madrid's lead to 24-18 after 10 minutes. 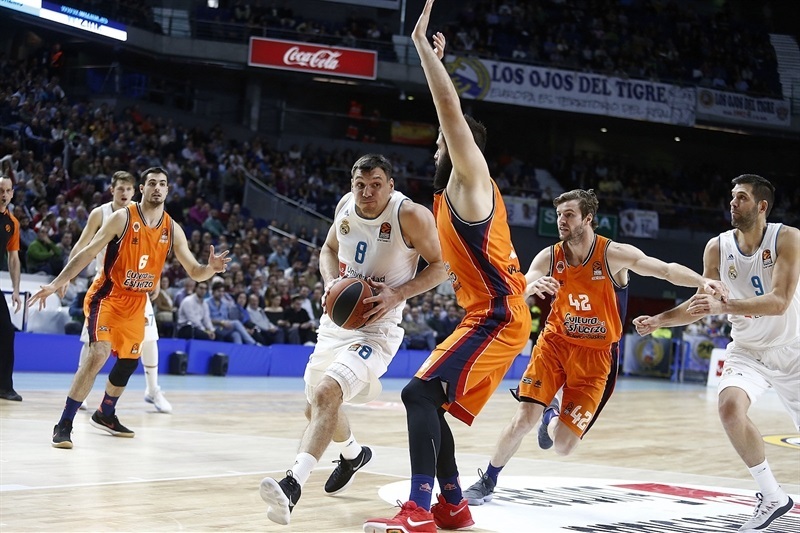 Jonas Maciulis and Reyes stepped up for Madrid, but three-pointers by Martinez and San Emeterio kept Valencia within 30-25. Doncic struck from downtown, but was ejected soon after that after being called for a technical foul and he had already committed an unsportsmanlike foul earlier in the game. Dubljevic and San Emeterio combined for 8 points in a 0-9 run that gave Valencia the lead, 33-34. 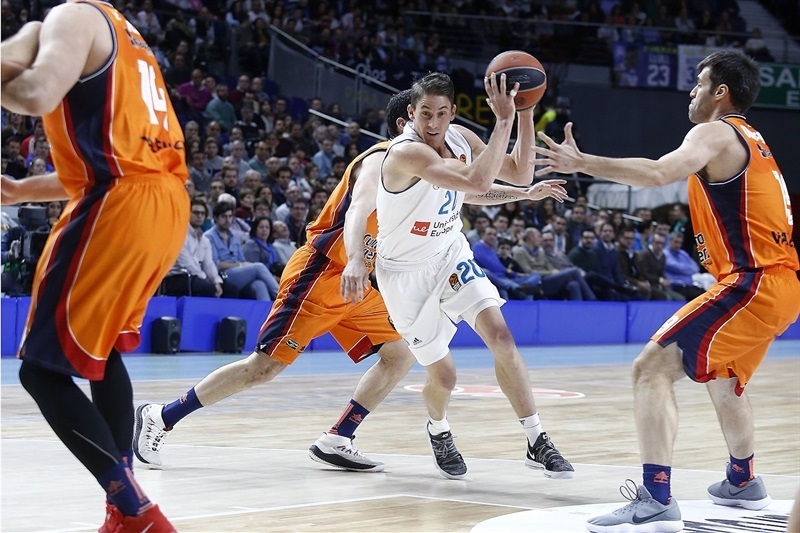 Carroll rescued Madrid with free throws and a couple of three-pointers. 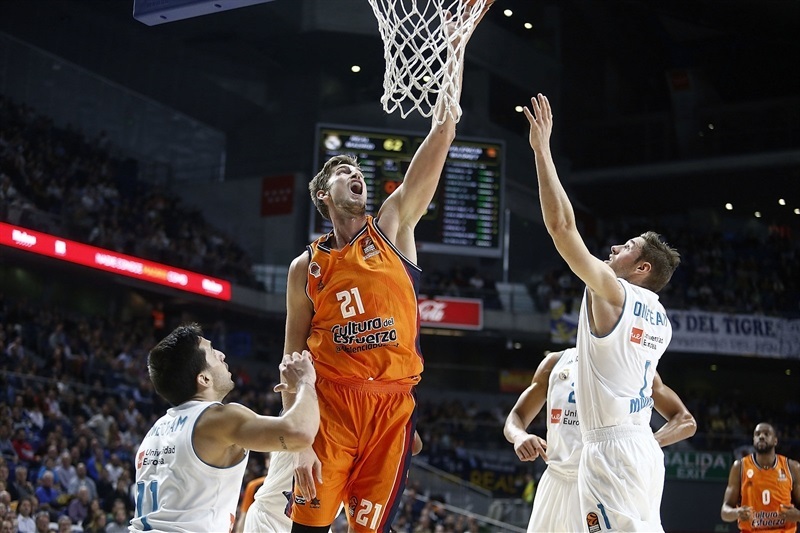 Campazzo added a jumper, but an unstoppable Dubljevic singlehandedly kept Valencia within 43-41 at the break. Green and Will Thomas took over after the break and a driving layup by Vives gave Valencia the lead, 47-48. 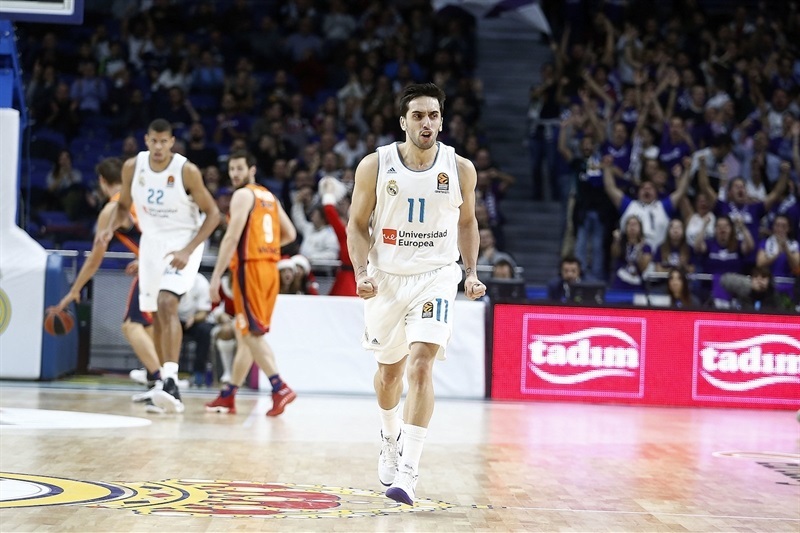 Tavares tried to change things with a layup and free throws and Campazzo buried consecutive three-pointers for a 60-56 Madrid lead. 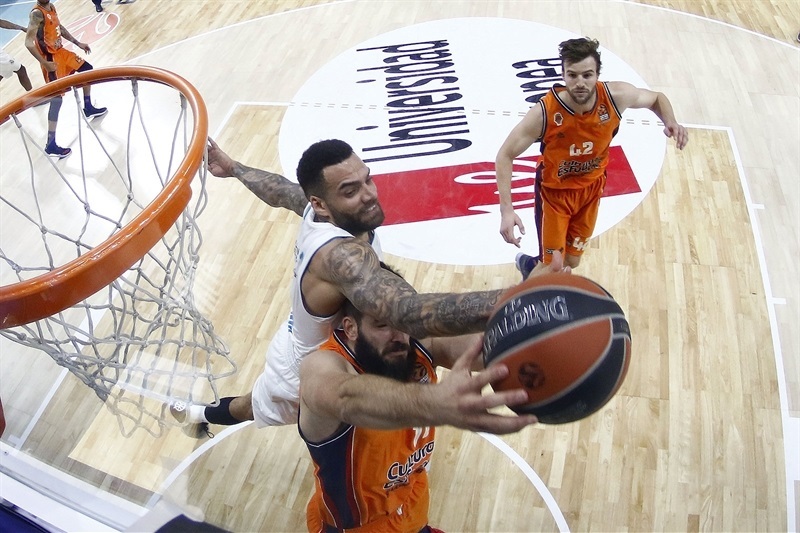 Jeffery Taylor scored down low and Tavares added an alley-oop dunk, but a buzzer-beating jumper by Van Rossom kept Valencia in the game at 64-58 after 30 minutes. A layup by Reyes and a three-pointer by Thompkins made it a double-digit game, 69-58, early in the fourth quarter. Green and Dubljevic tried to change things for Valencia, but Thompkins and Carroll led a 9-0 run that sealed the outcome, 78-64, with over four minutes left. Three-pointers by Taylor and Chasson Randle only padded the lead, which reached 87-69, and Valencia never recovered. 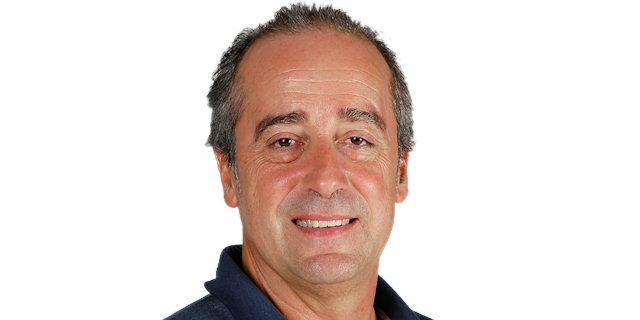 "First of all, congratulations to the team for the victory. I believe we worked hard. We had a very solid start, with the feeling that, defensively, we only struggled when Dubljevic stretched out to shoot, controlling all other situations. At the same time, taking Dubljevic out of the low post saved us from other kind of problems. They were accurate from beyond the three-point line in the first half, but we worked better on defense in the second half, contesting more shots, rebounding the ball and keeping control of the game. In the end, we managed to get a difficult win, just as we expected, as Valencia is a very aggressive team, experienced, with very good players. I am happy with the win, knowing we come off a week in which we put a lot of effort - not just us, but also Valencia. Moreover, we have another very difficult game in 48 hours. I believe that the team had a great behavior tonight. I have the feeling that the team gave its best and that our defensive work was very good, with good helps and good rotations. 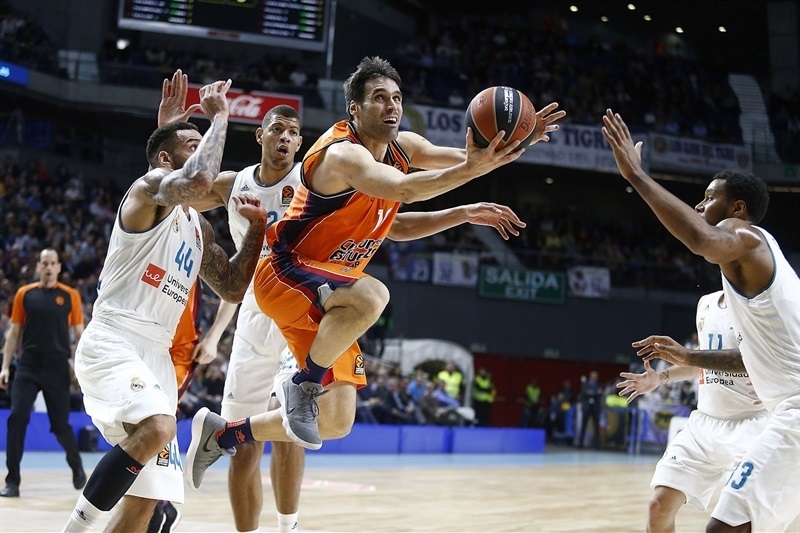 Fabien Causeur and Facu Campazzo did great defensive work, Thompkins had 11 rebounds and Felipe Reyes did well, even playing against taller opponents. In general, we did a very good job and this is why we won the game. I am proud of my team's reaction, playing an emotional game against Barcelona on Thursday, travel to Santiago and play a tough game there on Sunday, and then in less than 48 hours to be able to beat Valencia. I am very proud of team and the support we got from our fans, which was very important. They cheered for us in difficult times, always with their team, and that gives the win a lot of value, too." "First of all, congratulations to Real Madrid for the victory. We had a good start on offense. Our game plan was to take Tavares out of the paint and it went very well. We executed the way we wanted, but we were soft defensively at the start of the game. We allowed 11 baskets in the first quarter without reaching the foul penalty; Madrid took only 1 free throw and missed it. Still, we were executing well on offense and that allowed us to stay alive, even though at the end of the first quarter and at the beginning of the second, we committed some turnovers. I believe we played our best minutes in the second quarter. We kept playing well on offense, but improved our defense, allowing just six baskets in that second quarter. We kept playing at the level in the beginning of the third quarter and after that, we lost Vives due to injury and lost options, even though we had our chances at the end of the third quarter. In the fourth quarter, we tried to be operational and keep our chances alive, but Madrid scored 5 consecutive points and broke the game open. Having another game on Thursday and another one on Sunday, knowing all the injury problems we have - and the fact that there were two minutes left, we decided not to protect a score that would have reflected better what the game was. I opted to sit out my players to prepare our next game." "Intensity and character are not negotiable, as well as the will of beating your opponent. It has to be part of our DNA, our trademark as a team, and then take it from there. It is true that we have injuries and missed another player today, but we have to keep playing and do it our way. It was an intense, hard-fought game, but we were able to stay calm in the most important moments. Luka [Doncic] is a critical player for us and without him, we knew we would need an extra effort. We are used to it due to our many injuries; we need to have character, willingness to play basketball. 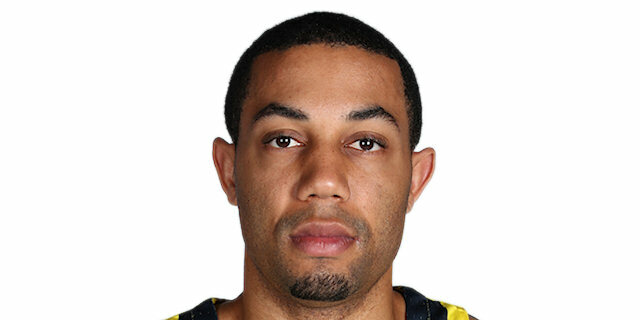 We started to play hard defense in the second half and speak on the court with good basketball." "We wanted to win a game like this. I am happy with the team and a little bit more comfortable with my teammates. This is what happens when you are adapted and good with everything. You start playing basketball without thinking too much." "It was a good first half, but we didn't come out and play in the second half. We got outrebounded and made some silly turnovers. We have to keep learning and keep getting better, and we have another one on Thursday at home. We hope we can get a win at home and get things rolling."